Pottstown’s very own Polar Bear Plunge will take place tomorrow morning at 10:30 am on the banks of the Schuylkill River in Riverfront Park. Participating polar bears – humans in varying states of undress – must sign a waiver ahead of time. All of the New Year festivities, which are sponsored by the Borough Parks & Recreation Department, begin at 9 a.m. with registration for the Polar Bear swimmers. At the same time, all visitors can participate in a card game that involves swapping cards with other visitors and getting to meet new people. At 10 a.m., the National Anthem will be sung and the crowd will hear a few words from Mayor Bonnie Heath. The Christmas Tree Toss will begin and the bonfire will be lit by the Philadelphia Steam Fire Company. There may be a new event added, such as a fruit cake toss. Then, at 10:30 a.m., the swimmers will descend into the Schuylkill’s waters. Afterwards, they can dry off and warm up by the bonfire and purchase hot dogs and sauerkraut, which is supposed to bring good fortune in the coming year. Weather.com is calling for partly cloudy skies and a high of 53 degrees. The river waters will definitely be colder than that. If you’re up for a bracing way to start off 2012 and want to be part of a community event that keeps getting bigger and better, get out to Riverfront Park tomorrow morning! This past Tuesday night I found myself briefly transported to heaven. One minute I was sitting at a table in Juan Carlos Fine Mexican Cuisine at 235 E. High Street in downtown Pottstown, the next I was experiencing a form of transcendence. I had finished my chicken fajitas, chef Ron Garza’s mouth-watering combination of seared chicken and smoky, slightly spicy grilled onions and peppers. I’ve been to Juan Carlos many times, but for some reason, this was the first time I’d had the fajitas and they were outstanding. I was, however, really looking forward to one of the dessert specials – the Triple Chocolate Souffle. I hadn’t indulged in a decadent dessert in quite some time, but when Casey, my friendly and attentive server, described it, I couldn’t resist. Chef Garza needs about twenty minutes’ notice to make this dessert, and I placed my order for it when I ordered my food. When the souffle arrived it looked like this: chocolate ice cream on the left, a dollop of whipped cream in the middle, and a small, round chocolate cake on the right. All of it was drizzled with chocolate sauce. After my first small bite of the cake, I thought, “Okay….” and let the flavors blossom. It is best to take one’s time – to live in the present – when one is on the verge of the miraculous. Then the second bite… when the dark chocolate center started oozing out, I had what I can only describe as a dessert flashback to a very similar-looking chocolate souffle I once had in a hotel restaurant in Montreal more than a decade earlier. That second bite consisted of the chocolate lava and the cake, and my heart leapt with hope. Could it be? Yes, it was! It was even more wondrous than that distant memory. Time lost all meaning then as I greedily prepared one spoonful after another of different combinations of the lava, the cake, the whipped cream, and the ice cream. It saddens me deeply to report that I left a few bites on my plate; I was so completely stuffed that it would have been unwise to finish. And yet… and yet I am still filled with regret two days later. If you have any affection for chocolate, I urge you to call ahead to Juan Carlos Fine Mexican at 484-624-4931, find out if the Triple Chocolate Souffle is available, and then hustle over there, settle in and get set for your own trip to heaven, before it’s too late. Still need a Christmas tree? Pine Hill Farm offers $5 discount Mon.-Thurs. Do you have a young family that is starting to create its own holiday traditions? Ever want to get back to basics and enjoy the satisfaction that comes from picking your own Christmas tree and sawing it down in the crisp December air while the kids sip hot chocolate and think you are the best mom or dad in the whole wide world? This year, there’s an abundance of Scotch pines. 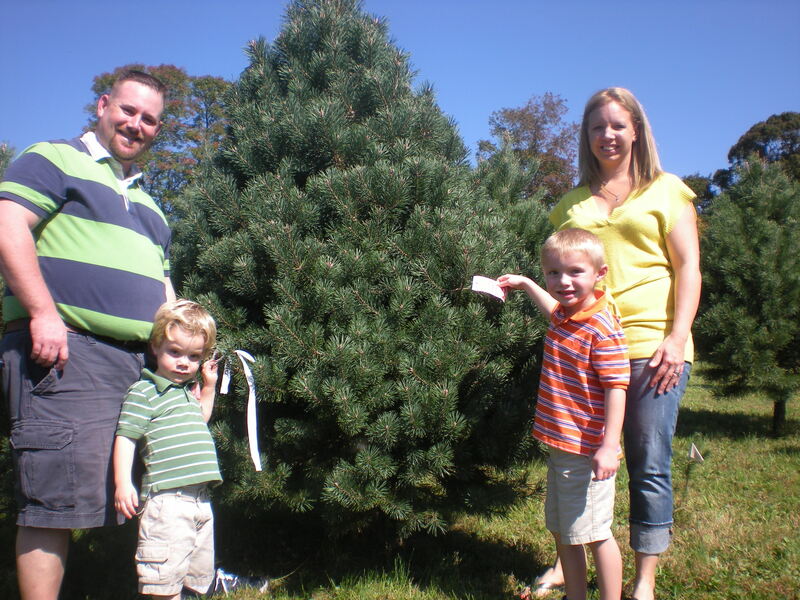 They also have a good supply of white pines and Norway spruce. There’s a limited supply of Colorado Blue spruce. The Douglas firs and Fraser firs are pre-cut from a local farm and will be delivered this year the day before Thanksgiving, Dec. 1, and Dec. 8. The Pine Hill website provides nice photos and descriptions of the various trees and their needles, so you can decide ahead of time what kind of tree you’re interested in. Remember: You choose and cut your own tree. They do offer saws to borrow. No chainsaws, please! Choose-n-cut your tree on Monday through Thursday, mention Positively!Pottstown and get a $5 discount – no coupons required! This afternoon at 3 pm is your last chance to take the family to A CHRISTMAS STORY at the Tri-County Performing Arts Center, 254 E. High St., Pottstown. This is a classic holiday tale of the mischievous, be-speckled young boy, Ralphie, who dreams of getting a BB-gun for Christmas. In the weeks before the big holiday, Ralphie and his friends and family get into all kinds of sticky situations – including a bully with yellow eyes, a tongue stuck to a lamp post, a bar of soap in the mouth, a garish major award, and a Chinese Christmas dinner. Based on the humorist Jean Shepherd’s novel “In God We Trust, All Others Pay Cash”, A CHRISTMAS STORY is the perfect holiday treat for the whole family! Tickets are $21 for adults, $19 for seniors and students, and $15 for children 12 & under. And Twelfth Night Tours at Pottsgrove Manor are running through Sun., Jan. 8 during regular museum hours, which are Tues.-Sat. 10 am to 4 pm and Sun. 1 to 4 pm. Learn about traditional colonial celebrations of Twelfth Night. Pottsgrove Manor is at 100 W. King Street, near Route 100 in Pottstown. There is a $2/person suggested donation. Editor’s note: Positively!Pottstown periodically posts articles from the Pottstown Area Health & Wellness Foundation. During the holiday season it may seem difficult to eat healthy, let alone eat healthy on a budget, but this article provides some inspiration and strategies sure to help you and your family throughout the year. The grocery store has become a complex labyrinth of possibility, especially for families who desire healthy food on a smart budget. According to the Food Marketing Institute, the average number of items carried by a traditional grocery at the end of 2010 was a whopping 38,718. As consumers, we crave the concept of choice but are quickly overwhelmed by the multitude of options at our fingertips. Having an exorbitant number of options may seem like a small worry; however, budget continues to challenge families who visit the grocery stores on average nearly twice per week. According to the latest projections by the US government, grocery prices are expected to climb between 4% and 5% by the end of 2011. Many operate under the assumption that eating healthy equates to spending money. Therefore, a 5% price hike may hinder healthy decisions in favor of what is on sale or featured in coupons. Suddenly all of those options lead to bad decisions in the name of saving money. Health and wellness are intrinsically linked to maintaining a sense of happiness, yet achieving them at a time of uncertainty leads to questionable behavior, even while grocery shopping. The past couple of years have encouraged consumers to hone their spending skills. Generally speaking, a smaller percentage of Americans are willing to spend on quality, unless they’re given good reason. For families, the fact that childhood obesity rates have been termed a national epidemic is just one reason to make smart and healthful choices in the grocery, as well as the kitchen. Plan ahead. The thought of planning your excursions to traditional supermarkets may seem like an unappealing step if you are not accustomed to it, but a little thoughtful strategy can go a long way. Generally, we crave instant gratification. When food shopping, it is easy to succumb to impulse purchases, which elevate expenses and usually equate to unhealthy prepared foods. A list gives consumers a sense of direction and purpose when navigating the aisles. In addition, consult, but don’t rely on, weekly flyers and coupons. Whereas they offer competitive pricing, they do not always pay attention to the healthiest choices. And just because you have coupons do not feel the need to use them. Especially if the foods are not something you normally use or are for unhealthy items. Enjoy variety. While many of us call the traditional grocery our main source when food shopping, a plethora of options exist for consideration. 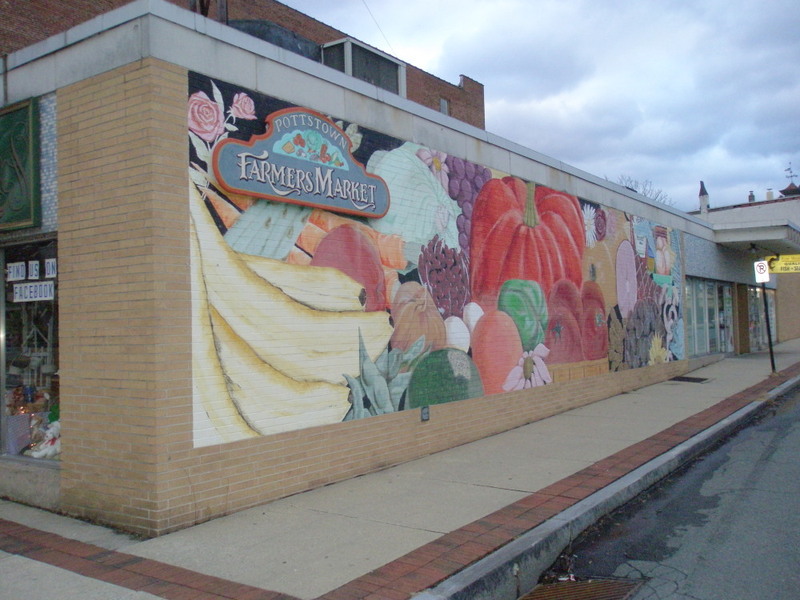 For instance, farmers markets and roadside stands sell locally-grown produce, while specialty stores and mass retailers create a competitive market. Though it may take away some of the efficiency of the one-stop-shopping experience, it does create potential for more robust savings. It is all a matter of simply knowing your community. Do-it-yourself. More Americans are returning to their gardens as a means of growing their own organic produce. The fresher the better; processed foods may seem enticing, but they lack the nourishment meant to support a smart diet. For families, gardening offers an engaging project that emphasizes and educates all members on the importance of healthy living. Also, consider the benefits of canning or freezing your produce, whether home-grown or store-bought. The laws of supply and demand dictate that seasonal foods have the potential to be less expensive. You may enjoy fresh produce throughout the year, just by thinking ahead, stocking up and preserving foods when pricing is right. Eat less meat. Experts suggest that Americans indulge in their passion for meat more often than they should. By reducing intake, it is possible to invest in better quality meats to balance additional costs. Additionally, incorporating other sources of protein, such as poultry or beans, creates a more well-rounded diet. Consider whole grains. Whether bread, cereal or pasta, steer clear of refined or white flour in favor of whole grains. As is the case with fruits and vegetables, whole grains offer a bevy of necessary vitamins and minerals to support a balanced diet. Buy bulk in moderation. There is a difference between buying bulk paper supplies versus fresh fruits and vegetables. Unless you plan to preserve, can or freeze for later use, often produce will go to waste in refrigerators. Also, pay careful attention to expiration dates. Americans are especially guilty of throwing away spoiled food, with estimates suggesting anywhere from 25% to 40% of food purchased being disposed of annually. Walk the perimeters. The adage is true – fresh food and baked goods typically line the outside edge of grocery stores, while processed and junk foods take up aisle space. Keep focused on your list and take to the aisles sparingly. Drink more water. Sugary beverages equal empty calories and can easily raise your grocery tab. Water is essential, and in the best scenario, tap water is free. Mix and match. Fashion stylists suggest that you need only a handful of items to create a versatile wardrobe. The same is true for food preparation. By planning ahead of time, you can outline family meals that stem from a standard group of healthy ingredients, while still offering the variety you crave. Snack responsibly. It’s inevitable that snack foods will find their way into our grocery baskets. By including healthy snacks, as well as an indulgence or two, on your list, you can curb detrimental and pricy impulse purchases. Eating healthy does not have to be expensive. Making just a few behavioral shifts will strike the right balance between feeding your family responsibly while remaining on a budget. About the Foundation – The Pottstown Area Health & Wellness Foundation’s mission is to enhance the health and wellness of area residents, providing education, funding and programs that motivate people to adopt healthy lifestyles. Visit www.pottstownfoundation.org for more information about the Foundation. Discover Pottstown area’s new online community at www.missionhealthyliving.org to learn and share great information on how to lead a healthier life! Ballroom on High offers Zumba toning class – sign up now! NEW! ZUMBA TONING – FIVE WEEK SESSION With REMI AND STAR INSTRUCTING! Ballroom on High in Pottstown, 310 E. High Street, 2nd Floor. *Limited to 25 students. Must have or purchase ZUMBA brand toning sticks $20 (1 pound), $25 (2.5 pounds). To REGISTER and buy sticks for this class, contact STAR @ 215-920-4511 or purchase at our regular classes. Cash or check only.